Following on from the success of Gangsta Granny on stage, another of David Walliams' novels is being transferred to theatre. 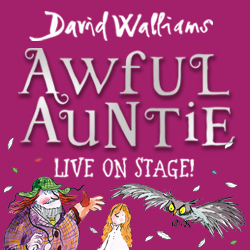 Awful Auntie will be at Birmingham's New Alexandra Theatre from Wednesday 22 November to Sunday 26 November. The novel was the UK's best-selling children's paperback book of 2016 so there is a lot of excitement over this new stage version.Awful Auntie tells the story of Stella, who sets off to visit London with her parents but wakes up from a coma three months later and relies on her Aunt Alberta to explain what happened. Things take a mysterious turn when not everything Aunt Alberta tells her ends up being true and Stella quickly discovers that she's in for the fight of her life against her very own awful Auntie. The tale - aimed at children over the age of five - is full of frights, fights and friendship featuring a very old car, a very large owl and a very small ghost. 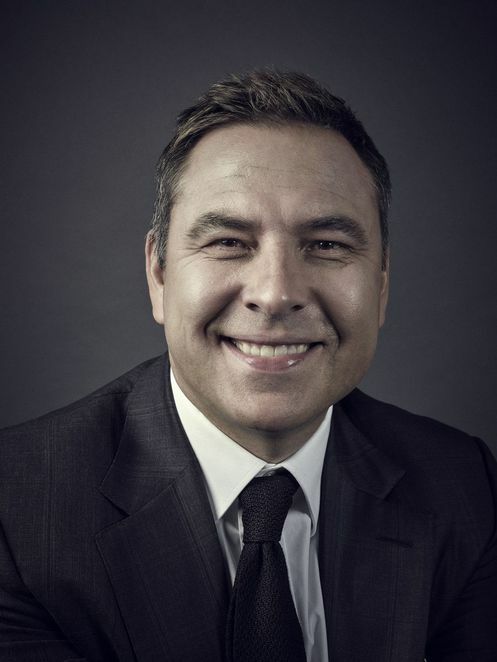 David Walliams has attracted success as a children's author. Birmingham Stage Company is bringing this brand new production and has form with Walliams' work as it was also responsible for the the record-breaking tour of Gangsta Granny. 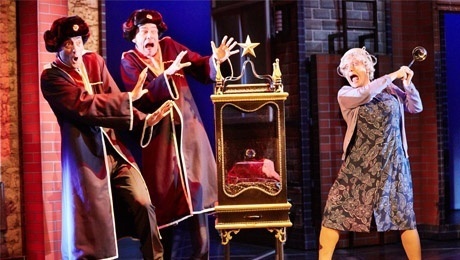 Gangsta Granny, which held its premiere in Birmingham, went on to sell out for a 50-week tour of the UK. David Walliams said: "The Birmingham Stage Company's Gangsta Granny is truly brilliant, so I'm hugely excited that they're now bringing Awful Auntie to the stage. It promises to be a thrilling show and a total hoot - Wagnar and I can't wait to see it!" Although Awful Auntie was first published in September 2014 and went to No.1 in the children's book chart for seven weeks, it was the paperback version that was published later in February 2016 that sold 212,000 copies and made it the best-selling children's paperback of that year. Combined sales of the hardback and paperback have now reached a whopping 950,000 copies. The success of the novel has helped to make Walliams one of the country's best-selling children's authors, with four of his books charting in the 2016 children's top ten. They have also been translated into over 50 languages, bringing worldwide sales to 16.7 million. Walliams began his publishing career at Harper Collins in 2008 with his debut novel The Boy in the Dress. Since then he has written nine more books plus five picture books. Three of his books have won National Children's Book Awards. Awful Auntie will coincide with Birmingham Stage Company's 25th anniversary. The Company, which started life at The Old Rep Theatre in Birmingham, has productions that span as far as Australia, Hong Kong, Dubai and Singapore. For 12 years, Birmingham Stage Company has produced all the Horrible Histories stage shows, which now regularly feature in the West End. Tickets cost £22.75 and can be booked from the New Alexandra Theatre website or by calling 0844 871 3011.